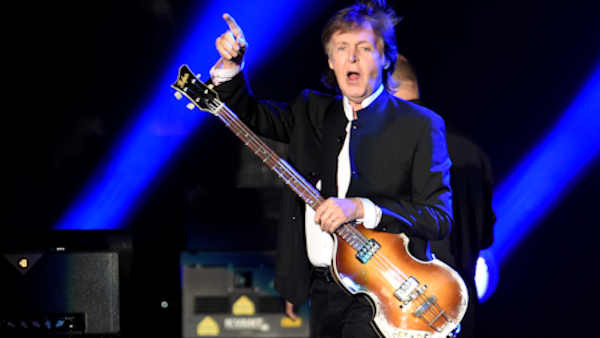 NEW YORK -- Paul McCartney says he wants his music to get back to where it once belonged. McCartney filed a lawsuit in federal court in Manhattan on Wednesday against Sony/ATV over copyright ownership of the many hit songs he wrote with John Lennon as part of The Beatles. The copyrights were famously bought by Michael Jackson in 1985 and then fully sold over to Sony/ATV following his death. McCartney has long wanted the copyrights, and the filing says he has sent notice to Sony/ATV saying that he will claim them back under a provision of U.S. copyright law that makes that possible after a certain time. The first song eligible to be claimed back is "Love Me Do," in October 2018. The rest of the catalog would follow in years after, ending in 2026. McCartney wants a ruling to say his claiming them doesn't represent a legal breach of any contract or publishing agreement that Sony/ATV could use against him. "Defendants have attempted to reserve their rights to challenge Paul McCartney's exercise of his termination rights on contractual ground," the filing says. It adds, "A judicial declaration is necessary and appropriate at this time so that Paul McCartney can rely on quiet, unclouded title to his rights." Sony/ATV said it had "the highest respect" for McCartney. "We have collaborated closely with both Sir Paul and the late John Lennon's Estate for decades to protect, preserve and promote the catalog's long-term value," the company said, adding that it was "disappointed" over the filing of the lawsuit which it said is "both unnecessary and premature."